Public companies have long been the engine of growth in the west, but now their numbers are dwindling as alternatives emerge. Simon Caulkin reports. It's not just the natural world that is subject to climate change. Some believe we are on the brink of a similar epochal shift in the ecology of capitalism. The evidence: a sharp and unexpected decline in the global population of public listed companies, the powerhouse of western business for the past 150 years. Although the drop is worldwide, it is most startling in the US, the heartland of stock-exchange capitalism, where public listings have plunged almost 50% since 1997's high of 9,253, and the UK. Asian listings have suffered the smallest shrinkage of nearly 5%, while Europe has lost 23% of its quoted firms over the same period. Around the world, according to figures compiled by Jason Voss of investment analysts the CFA Institute, the number of global equity listings stood at 46,674 at the end of 2012, having peaked at 56,119 in 1998. For some economies, this may be the market equivalent of the extinction of the dinosaurs or the melting of the polar icecap. Since the mid-1800s, at least in Anglophone countries, the plc-stock market double act has been the busy flywheel of material advance; the former channelling entrepreneurial exuberance and technological knowhow into commercial opportunity, the latter risk capital and subsequent returns to investors. It's true that as the recession eases, the IPO market has cautiously reopened for business, finally allowing private equity firms to make exits kept on hold since the crunch of 2008. However, in the UK, the expected flotation of the RAC never took place – its PE owner, the Carlyle Group, instead sold a stake of it to the Singapore sovereign wealth fund late in September. In a slightly different vein, as part of the spin-out of TSB from Lloyds Banking Group, the bank's 8,600 employees have become 'partners' through the grant of £100 each in TSB shares. But although the stock market still clearly has uses in specific cases such as these, will that be enough to remove the plc from the endangered list? And if the change is permanent, to what and where does it lead? Few observers doubt that something fundamental is afoot - and it's structural rather than cyclical. In other words, it's not a blip. Piecing it together, the shift seems to be driven by two converging forces. The first is economic. Viewed in a historical perspective, the publicly quoted company essentially looks like a creature of the 20th century. Modern business is cash-generative far earlier and much less capital-intensive than even half a century ago, points out John Kay, author of the eponymous review of UK equity markets and long-term decision-making. What's more, whereas capital assets in the past were specific and unique - 'there's not much else you can do with a railway or a steelworks' - today's are generic and fungible, so companies don't need to own them. The need to mobilise outside sources of capital is therefore much less. 'So, yes, I do think public companies have had their day and, no, I wouldn't bring them back,' he says. The second shaping influence is managerial (or ideological, take your pick). At least since the recession, commentators have been troubled by what they see as public companies' fading innovation mojo. In the June issue of Harvard Business Review, Clayton Christensen, who has the unofficial title of the world's most influential management guru (see feature, page 50), frets that companies' anaemic appetite for investor capital is further evidence of just this, boding ill for US jobs and growth. Yes, says Lynn Stout, professor of business and corporate law at Cornell University, this is a characteristic of today's short-termist, Wall Street-dominated, shareholder-value-maximising public companies. But, she argues, this is precisely why increasing numbers of managers, well aware that Wall Street's approach is not a recipe for long-term success, are choosing instead to take companies private, or are not bothering to go public. It is noticeable that ambitious, internet-age listed businesses such as Google, Facebook and others have disregarded governance principles to adopt share structures that leave the founders not shareholders in control. Meanwhile, a number of large companies, such as Enron and several banks in 2008, discovered just how unconducive the Street's prescriptions were to long-term survival by going comprehensively bust. Going private, going bust and not going public - 'these are the big ones', says Stout, the net result being a decline in public-company numbers and a correspondingly sharp increase in private ones. Michigan University's Jerry Davis, author of an influential account of US financialisation, shares some of Stout's views on the far-reaching effects of the cult of shareholder value. While the costs of being public (scrutiny, regulation, activism) have gone up - literally: the annual per-company cost of complying with US securities law was put at nearly $3m in 2012 - the value has gone sharply down. He portrays a corporate sector that in response to Wall Street's promptings has aggressively dematerialised itself until all that is left is a tiny centre managing a bundle of outsourcing contracts. Call it Nike-ification. Phew. But wait: there's more. It won't be long, Davis predicts, before what Nike sells you is not a pair of trainers but a customised design that you will send to a foundry or 3D-printer of your choice to be given material shape. In those conditions it's not just the public company that is in the firing line: when the cost of coordinating all the outsourced services needed to make quite sophisticated products approaches zero - 'Look, I can do it online while we're having this telephone conversation!' - and the expected company lifespan is no longer than that of a fruitfly, what incentive is there for anyone to invest in a corporate infrastructure at all? The emergence of an infant 'sharing economy' (Airbnb, Lyft and others) looks like an intriguing portent here. Unsurprisingly, alarm bells about this kind of talk are loudest in the US, which is most heavily invested, in all senses, in the culture of the publicly owned corporation. The social costs of its going away are enormous in terms of inequality, immobility and insecurity of all kinds (think Detroit for a foretaste). The decline in public equities, says Voss, 'should be a grave concern to both investors and policy makers alike'. At stake is the capacity of the public company to benefit the many, not just a few privileged individuals. Average incomes have barely budged in two decades: now the winner-takes-all economy threatens the entire middle class, potentially undermining capitalism as a whole. The great transforming ideas have emerged from large publicly managed companies with the patience to nurture them to fruition, Stout adds. 'Of course, many private companies are highly innovative, but what happens after Elon Musk (pictured) or Larry Page or Sergey Brin? Private firms tend to run into problems in the second or third generation - what I call the Paris Hilton syndrome.' 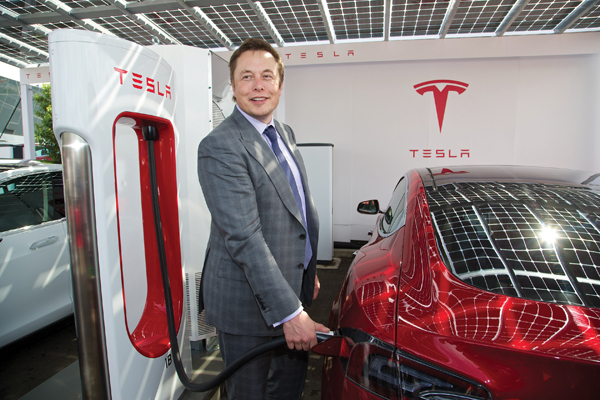 Although Tesla IPO'd in 2010, Musk remains the largest single shareholder. Harvard's Raj Sisodia, co-founder with Whole Foods Market's John Mackey of a movement for 'Conscious Capitalism', sees a grave danger that if more companies go private, the movement could become self-reinforcing. As vehicles for saving and retirement as well as the force for good that conscious capitalists want companies to be, 'we need a full, vibrant, publicly quoted company sector', he insists. On the other hand, reducing the influence of the markets and prising the corporation out of the grip of option-loaded CEOs, hedge funds and high-frequency traders may not be all bad. (As Keynes famously observed: 'When the capital development of a country becomes the by-product of a casino, the job is likely to be ill done.') Stock markets are largely an obsession of English-speaking countries. Germany, with around 600 publicly listed companies (which is fewer than Pakistan), is living demonstration that there's life beyond a share price, for investors and companies alike. Consider also that shareholder-oriented economies are more volatile and prone to bubbles and crises than others. The average life expectancy of US public companies has shrunk from 65 years in the 1920s to 10 in the 1990s; private companies tend to be more long-termist and invest more, giving them better survival chances. In 2012 Will Hutton's Ownership Commission concluded that the UK was an economic mono-culture, unhealthily reliant on the plc as the default form of business, sadly deficient in vigorous alternatives such as mutuals, cooperatives, family and employee ownership, and trust or foundation-owned firms (see box at the end of this article). On the investment side, as Davis notes, even in the Anglophone economies, wealthy individuals and institutions don't invest in unit trusts and mutual funds, preferring private equity, hedge funds and alternative asset classes not accessible to mere mortals. Opening space (and minds) to new ideas can only be a good thing. Stout reckons this may already be starting to happen. While board members may make assumptions to the contrary, she points out that there is nothing in law that compels directors of public companies to concentrate exclusively on maximising shareholder value. They can choose any purpose they like. And some are taking the opportunity to do so. 'Conscious capitalists' such as Mackey and Sisodia point to reportedly superior returns made by companies that choose to optimise themselves to benefit all stakeholders. In a similar vein, over the past four years more than 1,000 companies around the world, mostly in the US but a few in Europe, including the UK, have incorporated themselves as 'B corporations', or B corps, meaning that they are expressly committed to social as well as business goals, and are regularly audited or certified against them. The B corps' spiritual parents are Anita Roddick and Body Shop. Most latter-day manifestations are small, but a few well-known names crop up among them, such as ice-cream maker Ben & Jerry's. Ben & Jerry's owner, Unilever, is one of a handful of giant companies to have made a direct stand against short-term stock market orthodoxy - the rules of behaviour that public companies are expected to observe - by abandoning quarterly reporting and explicitly stating a commitment to customers and community as its primary obligation. Can initiatives like these reverse the tide of decline? 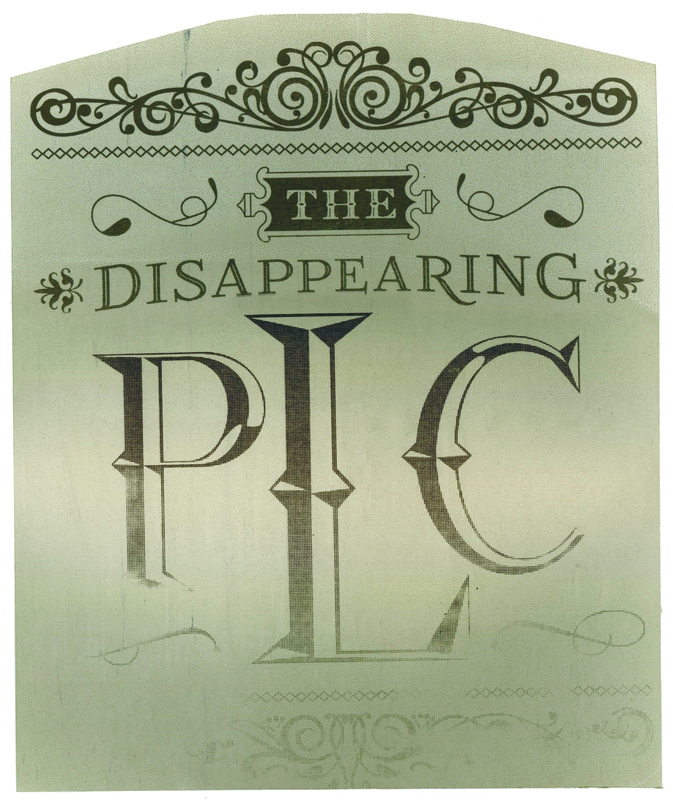 Such an imposing ecology of vested interest has grown up around the plc that its withering away seems unthinkable. But while some publicly owned companies will surely survive, the structures supporting them have been so gnawed away from within that it will take a vast effort of institutional innovation to renew or replace them. The culminating irony is that it is the shareholder-value maximisers that have killed their own golden goose. Shareholders' mistaken claims to ownership of the corporation (in law, points out Stout, shareholders don't own companies, they own shares, which is not the same thing) have unwittingly destroyed its essential genius: its ability to engage and make commitments to all stakeholders, not just shareholders. The beauty of the corporation is precisely that it isn't owned. It can invent its own destiny. Instead, in the vain attempt to make ownership work, its most ardent supporters have genetically engineered a dead end, a dinosaur that is too dim-witted to ensure its own survival. Its flaws have found it out. Meanwhile, evolution goes marching on. After demutualising in 1998, the roadside help and rescue service was briefly owned by Lex Group and Aviva before being acquired by PE group Carlyle in 2011. Since then it has prospered, raising Ebitda from £98m to £152m and launching products including telematics and an online shop. In the event, instead of floating it as expected, Carlyle in September 2014 sold a stake in RAC to the Singapore sovereign wealth fund, achieving recognition of a different sort and leaving the company and its owners in a position of some strength. Benefiting from wide brand recognition and strong customer and workforce loyalty, with a growing market share and no shortage of opportunities, 'the motorist's champion' would still have wide appeal as a publicly quoted company if proprietorial priorities were to change in the future. Diabetes specialist Novo Nordisk is the world's fifth largest pharma firm. Like 120 other large Danish companies, including global names such as Carlsberg and shipping line Maersk, it is owned and controlled by a foundation, whose aim, says VP Susanne Stormer, is 'to provide stable, long-term ownership' compatible with pharma's product cycles, but also to support scientific and humanitarian purposes, for example, through a pharma VC fund. Stormer won't make a causal connection, but Novo Nordisk's governance and ownership structure don't appear to have hindered performance that has featured double-digit earnings growth over the past decade. Chief executive Paul Polman is one of the rare global public-company leaders to have publicly challenged the tenet that the purpose of companies is to maximise shareholder returns. In abandoning quarterly reporting, Unilever has told shareholders that its 'paramount goals are to satisfy the demands of consumers and customers and serve the needs of the communities where we operate', in the conviction that shareholder returns will follow. Unilever owns a B corp in Ben & Jerry's ice cream, although parent and child haven't always seen eye to eye. So far Unilever claims its Sustainable Living Plan is paying off, but Marks & Spencer, which once boasted of its similar long-term strategy, has recently gone very quiet about Plan A. In a nod towards partnership structures like that of John Lewis, TSB Bank announced it was using its initial float in June to make employees into shareholders and reinforce a switch in business focus away from selling products and towards better customer service. In the partial IPO, 8,600 staff received £100 in shares, thereby becoming partners. 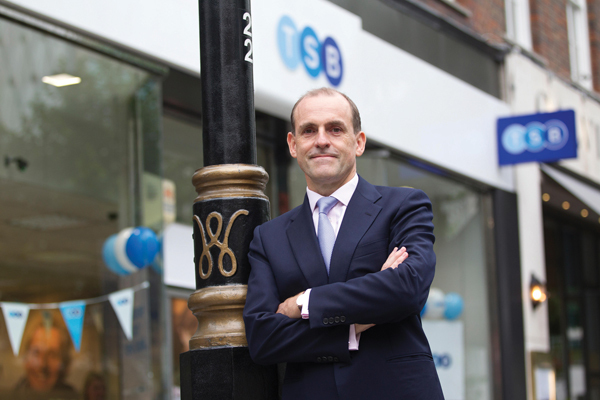 According to CEO Paul Pester: 'A sense of shared ownership among TSB staff is key to great customer service and to building a thriving TSB Bank.' It also helps differentiate it from other high-street banks.